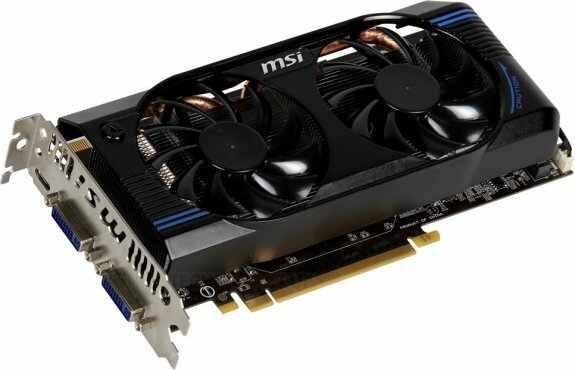 While we're still waiting for the rest of NVIDIA's GeForce 600 series, MSI delivers a new factory-overclocked GeForce GTX 560 SE OC. Clocked at 750MHz core, 1500MHz shaders and 3828MHz memory, this model is anticipated to be available for under $200. 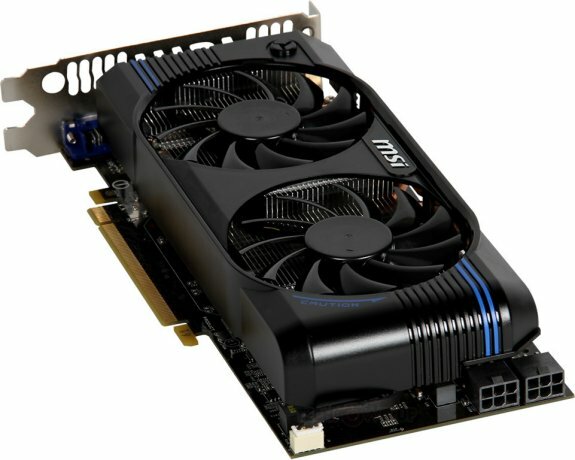 Designed identical to the card MSI started its GTX 560 SE lineup with, the OC model features out of the box clock speeds of 750/1500/957(3828) MHz core/CUDA cores/memory(effective), against reference clock speeds of 736/1472/957(3828) MHz. The card packs a custom-design PCB that makes use of copperMOS, and a custom-design cooler that uses two fans to ventilate a large aluminum fin heatsink fed by copper heat pipes. The card features 288 CUDA cores, and 1 GB of GDDR5 memory across a 192-bit wide memory interface.